Using her science background (Bachelor of Science in Chemistry from U Mass Boston) and marrying it with an artistic leaning (Bird of the Hand Pottery for 20 years) healthy soils and beautiful landscapes appear. 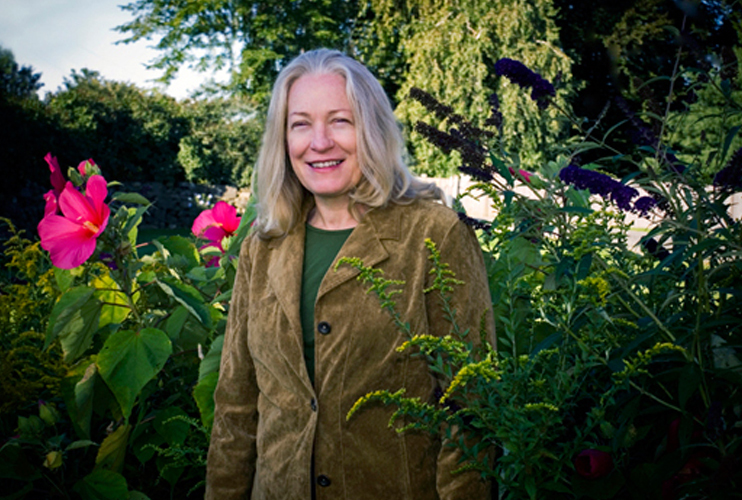 She is a certified land care provider with New England Organic Farming Association. Cathy is currently collaborating with the State of Massachusetts on research project into the development of mixed crop uses in neglected apple orchards. The crops grown together will be herbal medicinals and apples and pears. As a winter time artist, Cathy works with clay to form art works expressing the conditions of man today that are linked to the past through one of man’s oldest mediums, clay. The sculptural work is a creative endeavor for pleasure and artistic expression. Cathy has always felt that artistic expression is one of the most vital forms of expression for all people in our modern conformed society. Cathy feels that as the industrial revolution has past, creative work will be an area of large economic growth for our economy. Through artistic innovation and conservation of our resources we can move confidently into the future. Through the preservation of our environment we will be able to support the coming generations in enjoying the arts, education and the great outdoors.